Stewart's disease is caused by the bacteria Pantoea stewartii. 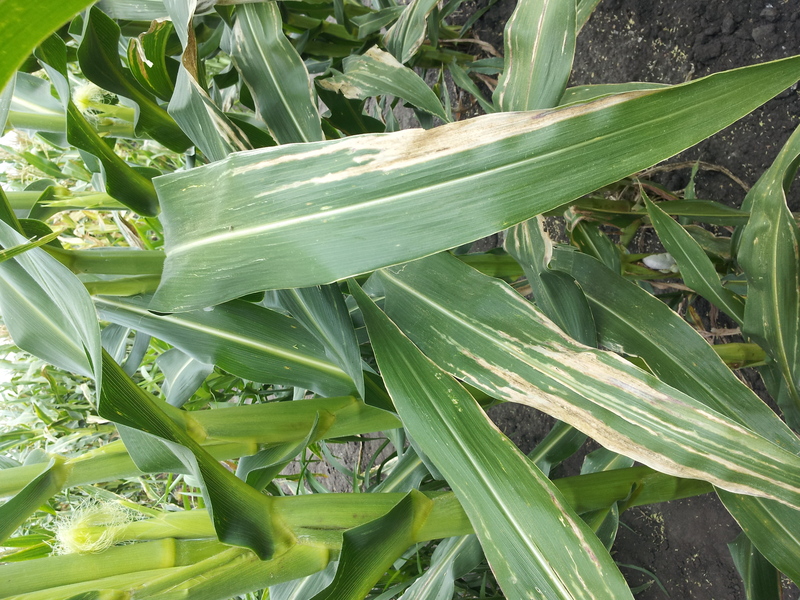 The bacteria is vectored by the corn flea beetle. 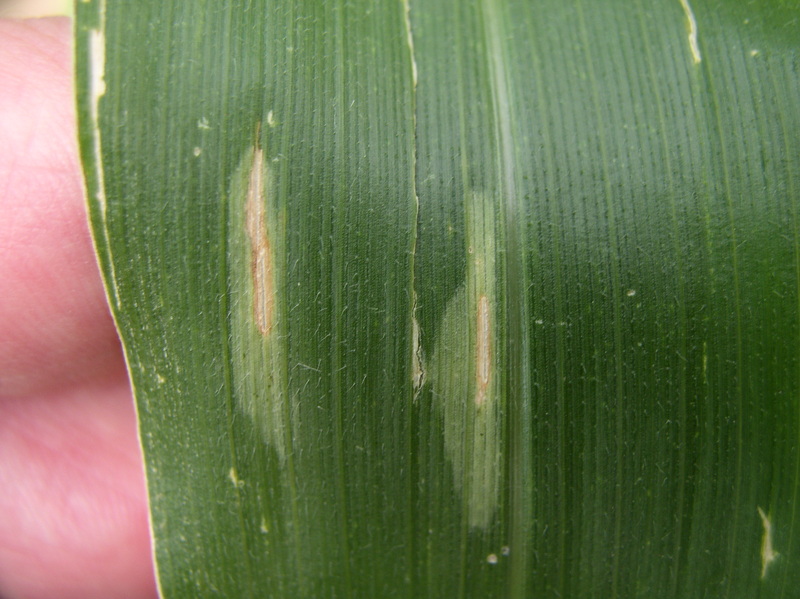 Stewart's disease lesions spread from flea beetle feeding scars (a tiny scratch on the leaf) and are initially pale green to yellow streaks, later becoming brown as tissue dies. 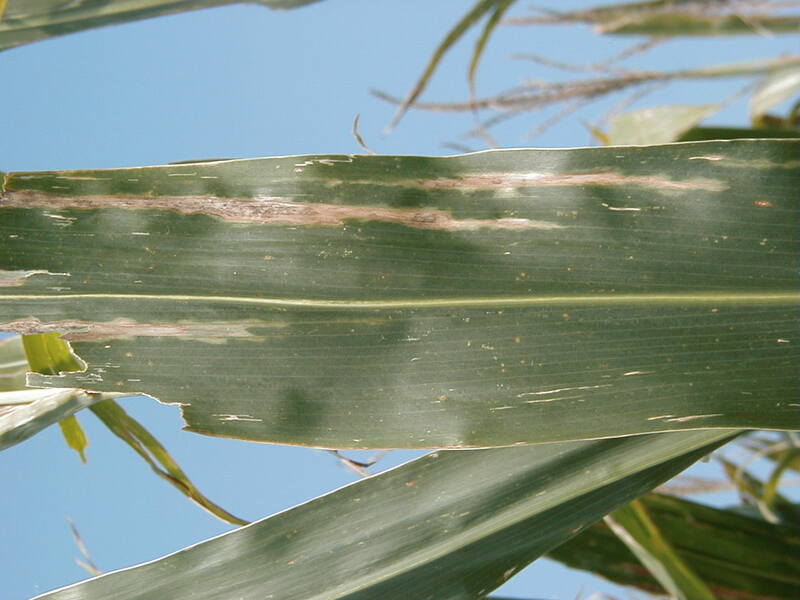 The margins of the streaks are usually wavy but generally follow leaf veins. 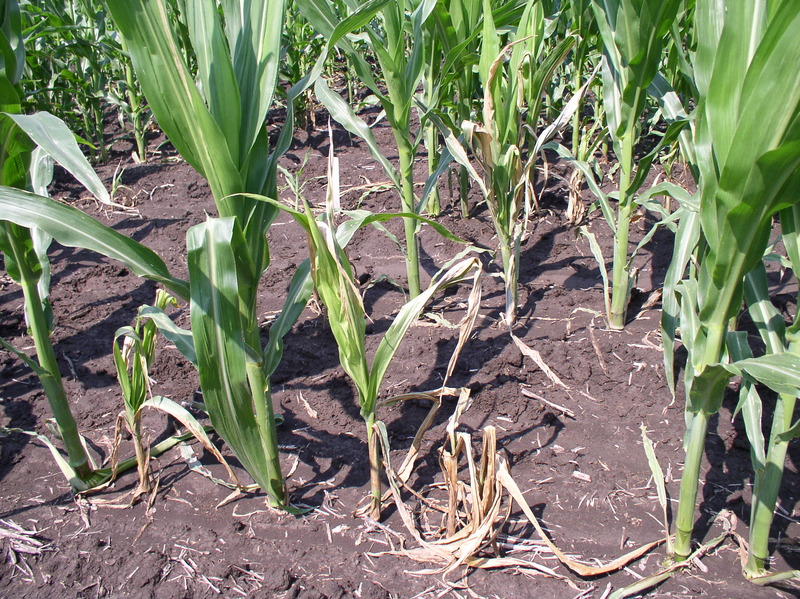 If stalk infection occurs, the entire plant will wilt. 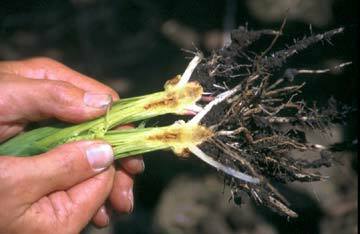 When cut, infected stalks may ooze droplets of pale yellow bacteria. 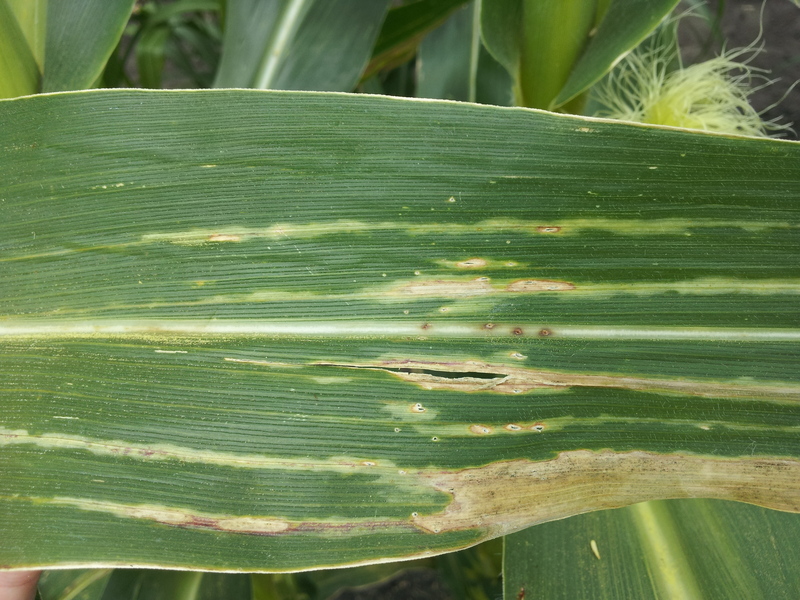 Stewart's wilt can cause decayed cavities within stalk tissue. 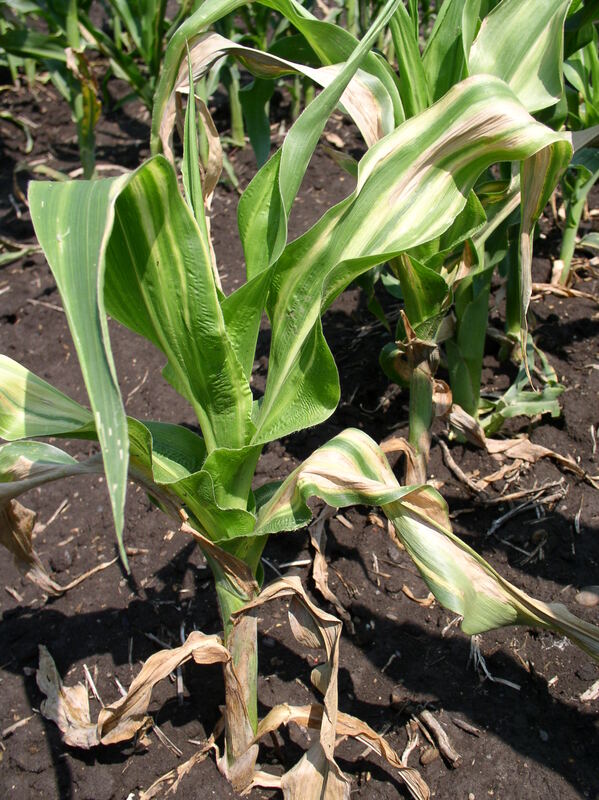 If stalk infection occurs, the entire plant will wilt. Wilting and plant death due to systemic Stewart's wilt. Water soaked, wavy margins of Stewart's disease lesions. 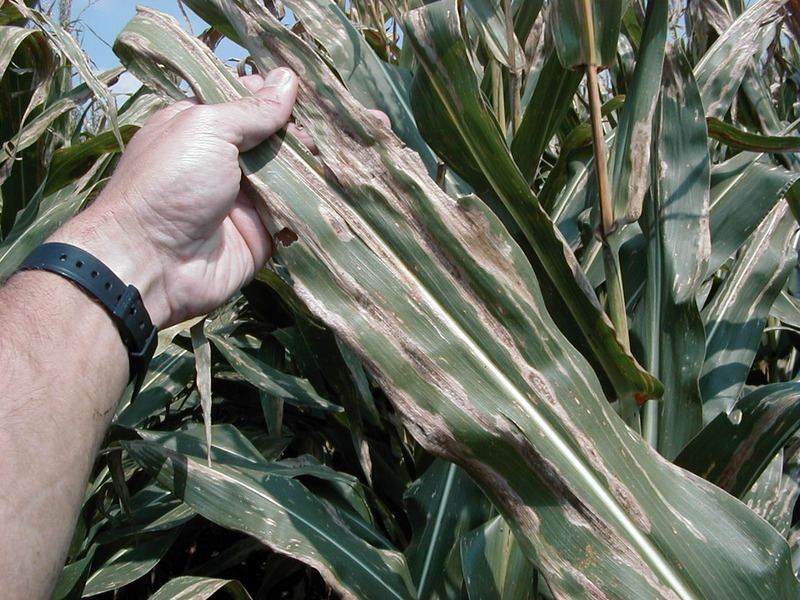 Entire leaves can be blighted as Stewart's disease progresses.